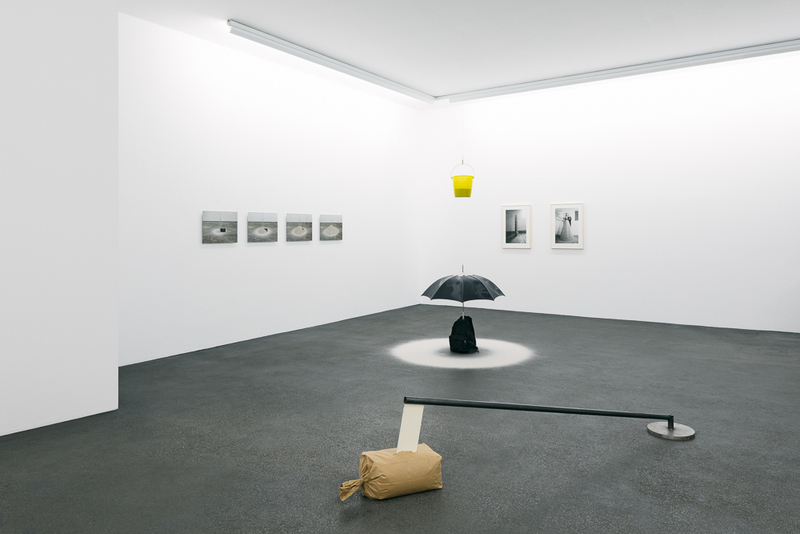 Häusler Contemporary München is pleased to announce its third solo exhibition of Swiss artist Roman Signer. We show a thematic selection of works which all are based on the medium of sand. 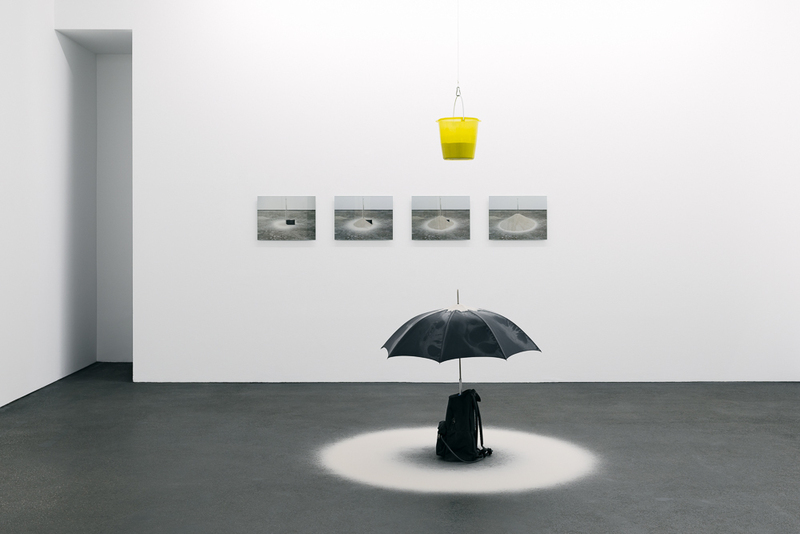 Häusler Contemporary München is pleased to announce its third solo exhibition of Swiss artist Roman Signer. 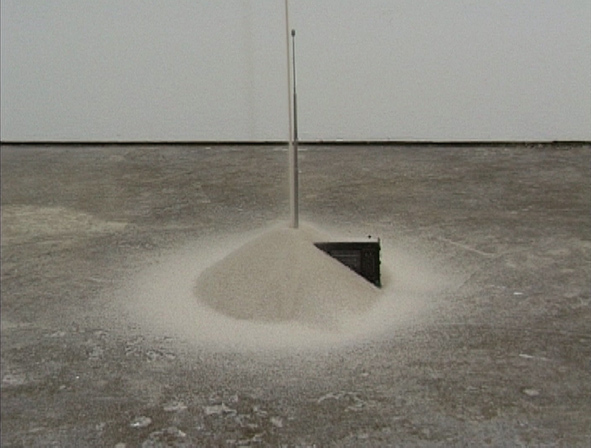 We show a thematic selection of works which all are based on the medium of sand. Besides photographs of Signer’s »time sculptures« we exclusively present a remake of his »Sandinstallation« of 2007 as well as the new sculpture »Hose«. Sand is the media of temporality. Tracks in the sand are blown away by wind or flattened by water, and the hourglass is one of the most poignant symbols for the passing of time. No wonder, therefore, that Roman Signer (*1938, Appenzell, CH, lives in St.Gall, CH) repeatedly uses the stony grain for his artistic actions. He is one of art’s protagonists who established aspects such as movement, change and fugacity as integral part of sculpture from the 1970s onwards. With his unique »time sculptures«, Signer made an essential contribution to a new understanding of art. 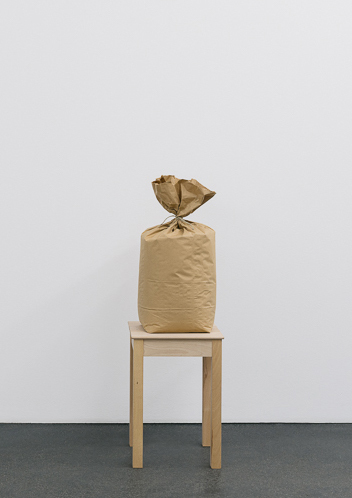 Häusler Contemporary München’s thematic exhibition is dedicated to this important aspect of Roman Signer’s oeuvre: for the first time, we focus on works in which the material sand plays a main role. 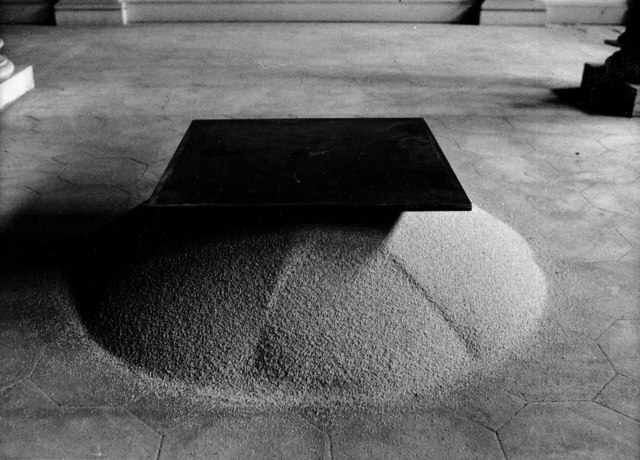 Aside from photographs depicting several early and recent actions we are delighted to also present Signer’s »Sandinstallation«. For the first time realized by in 2007, the artist now will remake the work exclusively at our gallery. 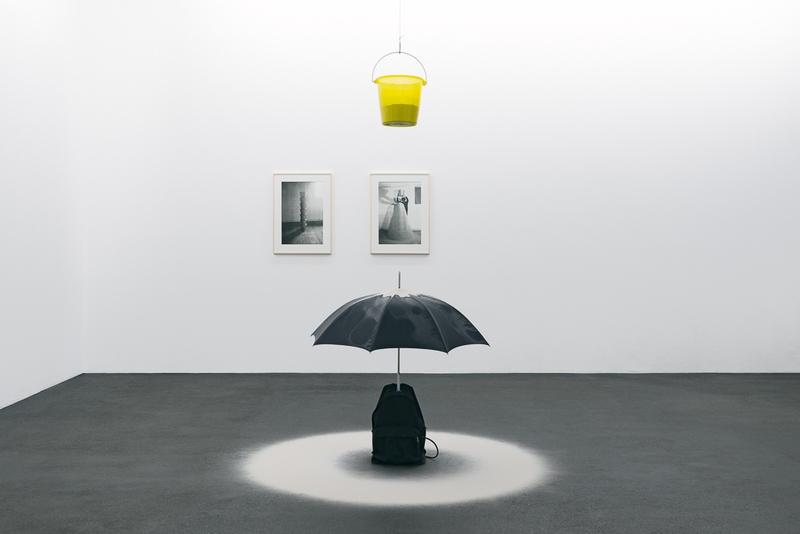 The main protagonists of this piece, a bucket, an umbrella and a backpack are – just like sand – recurring requisites in Signer’s »events«. 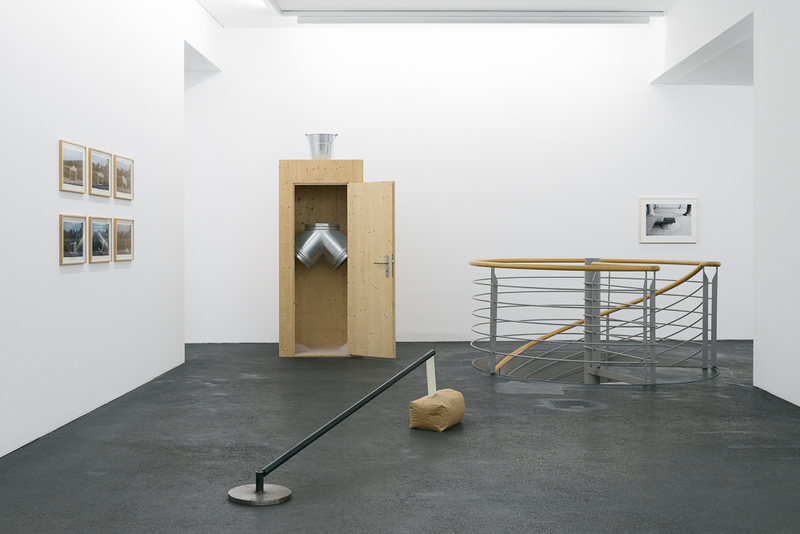 The installation thus is representative for the work of this major Swiss artist, on the level of imagery as well as on the level of content: Signer repeatedly fathoms the sculptural potential of everyday materials and incidents. 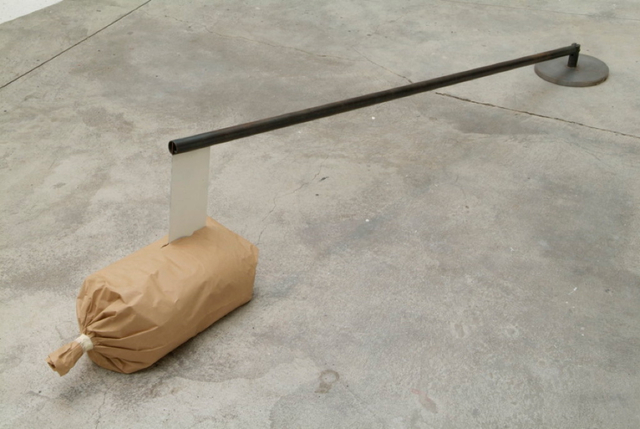 In this context, the new work »Hose« of 2015 first appears as a mysterious object. The open door of the mobile wooden cabine reveals the result of an action that took place in advance and that involved sand. The work becomes a unique metaphor for the overall structure of space and time. 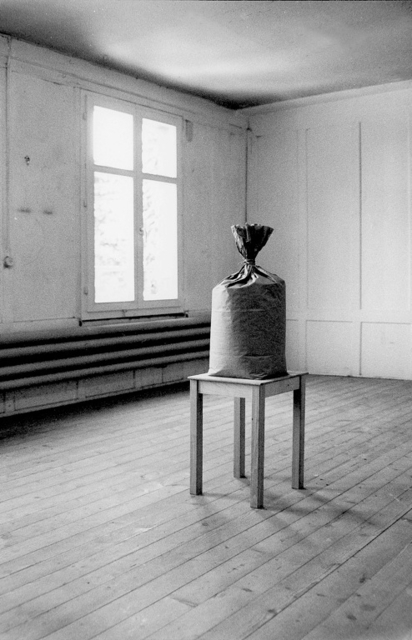 The bucket returns in the photograph »Sandsäule« of 1979. In this case, the artist had piled up several bottomless buckets, creating a hollow column that he subsequently filled with sand. The image on view captures the moment when the artist lifted up the topmost bucket. As a consequence the contained sand burst out over the stacking – making visible the change of form. Furthermore, we present »Sand auf Radio« of 1997, a series of four video stills. Looking at the sequence, the viewer can witness the transition of a »figurative« composition to a nearly abstract arrangement. Our thematic exhibition demonstrates once more the seminal impetus that Signer’s oeuvre had on our contemporary understanding of art. 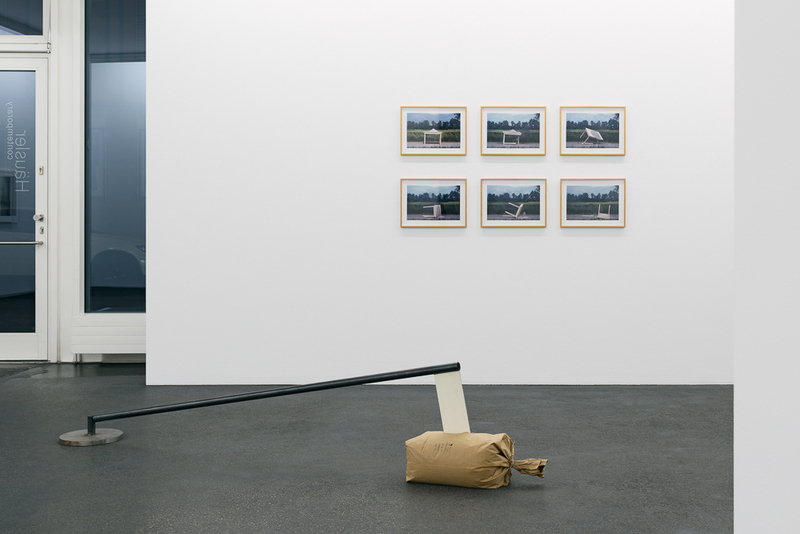 It becomes visible that his works continue to be fresh, innovative and surprising.